THIS IS YOUR SPRINGBOARD TO AN OUTRAGEOUSLY SATIFYING RELATIONSHIP FOR ALL LESBIANS AT ANY STAGE IN YOUR LESBIAN LOVE STORY. She won’t talk to you. Nothing you say seems to get through to her. You feel shut out and unable to reach her. The more you work to get her to open up, the less she talks. You feel powerless and afraid you might be losing her. You want to move close to her, but you fear she will reject you. You feel criticized and blamed. Her strong emotions overwhelm you. You avoid conversations, hoping for peace. It feels like you are walking on eggshells. You worry you’ll never get things right in her eyes. You want closeness, and worry it will end in conflict. Traditional couples counseling is not helping, or, you can’t get her to go. You attend session after session. Sometimes you leave the session hopeful. Other times you are fighting before you leave the parking lot. You want help, but nothing seems to be working. Adventures in Love is a refreshingly bold approach to helping couples create outrageously satisfying relationships. 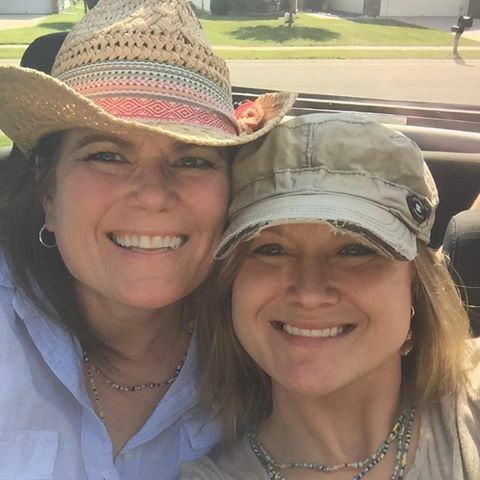 When you attend an Adventures In Love Retreat, you are opening the door to an entire community lesbian couples invested in growing their love and supporting you in growing yours. Now if this doesn’t sound like the cat’s pajamas… I don’t know what does. There are no cookie-cutter workshops. Small (6 couples), intensive, custom experiences are the launchpad for lesbians who join the of Adventures in Love. Each partner will complete an extensive pre-workshop assessment (available online after you register). This will provide the information needed to create a custom experience designed to address your specific relationship concerns. Relationships are co-created, there are no “bad guys” in love. Growth requires a blame-free, criticism-free environment where everyone feels safe. Michele O’Mara has had a lifelong obsession with love and relationships. She has turned this obsession into a career of helping lesbian couples prepare for, repair and enrich their relationships. She has multiple degrees and certifications in human behavior and relationships. (BSW, MSW, Phd in Clinical Sexology, Certification in Imago Therapy, Gottman Method trained on all three levels, Certification as a Discernment Counselor, and a training with Sue Johnson, Founder of Emotionally Focused Therapy). Her goal is to walk alongside of you and your partner, seeking to help and to support you in your journey toward the relationship you desire. She will challenge you to grow while simultaneously holding you safe enough that you know you’ve got this. Ridiculously happy relationships are possible, even for you. Kristen O’Mara is a passionate ball of love, scattering her good energy wherever she goes. After graduating with a degree in education, she brought her enthusiasm for life and learning to grade schoolers. As it turns out, Kristen did not like being confined to a classroom all day, and decided it is a lot more fun to drive students to and from school. When the wheels on the bus aren’t going around and round, she is either doing monthly drill with the Army Reserves, or using her magical ways of making our house always feel like a home and our hearts feeling full of love. During the Adventure Retreats, Kristen is the comfort coordinator who will ensure that you are comfortable, fed and hydrated. Is this worth the expense? This experience is a two for one. It is both a mini lesbian vacation plus a lesbian couple boot camp. It would cost a minimum of $2200 to cover the amount of material we cover in the course of the weekend. An hour of couples counseling is worth roughly $156. To cover the material you will learn in the course of this retreat it would cost a minimum of $2184 and it would take over three months if you weekly sessions. This retreat is not only a powerful springboard for lasting change, it is also a cost-effective way to make fast progress in your relationship. We are willing to explore payment plan options on an individual basis. The closer you are to the retreat weekend, the less flexibility we have to offer you a payment plan. If, however, the retreat you wish to attend is 6 months away, we do have the flexibility to work with you on the timing of your deposit and subsequent payments, as long as you are paid-in-full by the start of the retreat weekend. Us the “Got Questions” form at the bottom of this page to inquire with us about payment plan options. Is it safe to talk about anything in the group setting? We value your sense of safety and security above all else. There is no topic that is off limits as long as it is about you and not the other couples. You are 100% in charge of what you share and how open you choose to be. What is coaching, why is it not counseling? Relationship coaching is a partnership between the coach and the couple, that points your relationship in the direction you desire. Coaching is designed to support your relationship journey with new skills, insights, and the creation of a roadmap that will lead you toward a satisfying relationship. We are in a great space and we want to keep it that way. Is this a good fit for us? What if one or both of us are not comfortable talking in front of others? Above all else, we value the importance of each person feeling safe. If you, or your partner, do not feel comfortable talking, you will be encouraged to stretch yourself into taking more risks, while respecting your limits and your wish for privacy. Ultimately, you will always remain in charge of what, when and how much you share. It is our job to create a safe setting and the inspiration to take risks in order to get a better outcome. What if we are considering breaking up? The pain of loving someone and not being able to get from that relationship what you want and need is sometimes so painful that breaking up seems less painful than the hurt of staying. The desire for your relationship to work is all that you need in order to benefit from this retreat. Whatever the outcome, you will leave the retreat with a better understanding of what it will take to move forward, or what occurred to derail you. (Note, if you register for the retreat and break-up before the retreat starts, you are still expected to attend). Can I submit this expense to insurance? No. The lesbian couples’ retreats are relationship coaching experiences Insurance reimbursement requires the use of a counseling license in the state services are provided in, as well as a diagnosis explaining the mental health disorder being “treated.” This is medical model flies in the face of our philosophy. We do not see people as broken and needing “treated.” We view people as having rich and textured histories that cause a variety of responses that make sense when you take the time to understand the whole story. We find healing through understanding, love, connection and authentic support. So we say, “no thank you,” to the medical model in our work with couples. Yes. For the intensive retreats you receive a $50 discount on your registration fee. If you plan to register and qualify for this discount, please send us a copy of your ID and we will adjust your final payment to reflect the $50 discount. The door is wide open to you and your relationship and you are invited to join a growing community of lesbian couples at whatever level you wish. You can continue working with Michele with a discounted post-retreat couples coaching package; you can join your retreat-specific support tribe for monthly online check-in and support sessions with Michele; and you can continue communicating with your tribe-mates, as well as other couples from other Retreat Tribes in a private facebook group, or in your GroupMe communication app. What can I expect to accomplish by the end of the retreat? You will leave the retreat with a dramatically deeper understanding of one another and of your relationship. You will also have a stocked relationship tool-box to use along with your personalized roadmap to a better-feeling relationship. You will have what you need to begin practicing your way into a better-feeling relationship. A feeling of fun, safety, and inclusion. Michele is highly skilled, real, and compassionate. The retreat allowed us to get real about our issues while making real progress in our relationship. I didn’t know what to expect going into the weekend, but I was very impressed overall. It was a nice mix of lecture material for the group and couple role plays with a focus on couple-specific issues. The tools learned during the seminar are very applicable. Highly recommended! Good food, a wonderful mix of people, a good book to take home. Honestly, I wish it was longer! !